1 How to brew coffee in a French-Press? 2 What is AeroPress (aeropress)? Ways of making coffee is not so small, as it might seem at first glance, the inexperienced in this matter man. 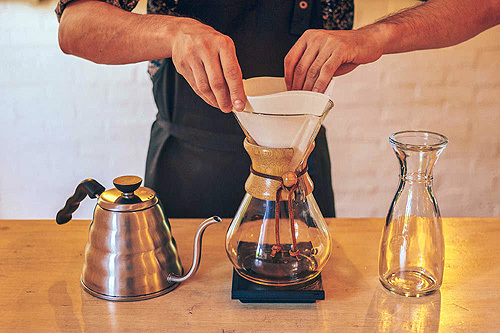 Many probably know such methods, like boiling coffee in Turku, its preparation by means of the coffee machine, someone just brewed coffee in a cup, or used for cooking a normal saucepan. What other ways are there to produce flavored drink? 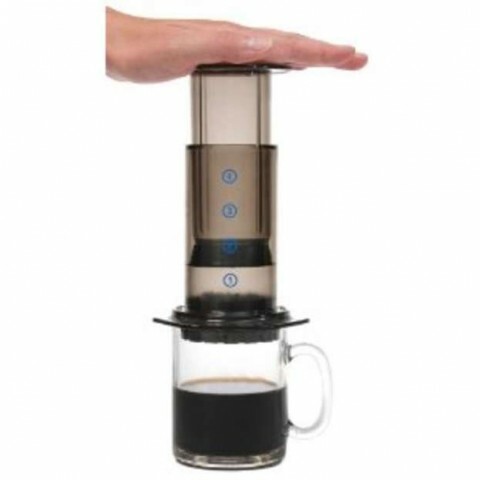 Easy to use and quite common way to brew coffee French-press, new, interesting and the most fashionable way to brewing today with the help of AeroPress. And to the exotic, suitable for a colorful coffee ceremony, It may include such devices as the coffee Kemeks, Harry, siphon coffee. But first things first. How to brew coffee in a French-Press? 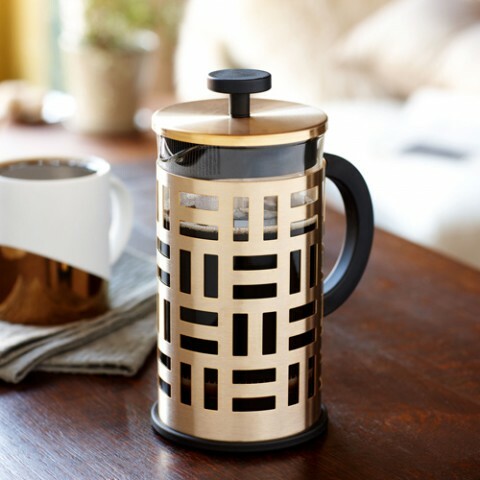 French press - a device for brewing coffee and tea, which was invented back in the mid 19 century France, and then later refined. Gradually gained recognition throughout Europe. It is a glass cylinder with a lid, wherein the filter has a piston, placed in a metal casing with a handle. It uses a large coffee and a medium-coarse. Before preparing coffee, vessel necessary to rinse with boiling water and wipe dry. pour coffee 1 Article. spoon, or more, according to taste, on 250 ml of boiling water, heated up 95aboutWITH. Water must be poured on 3 cm below the edge. Stir gently and cover, wherein the piston is raised up, and nose closed. detect 4-6 minutes and begin to slowly lower the piston down, filtering coffee from the grounds. Turn the cover, freeing the nose, and spill coffee. note, that the coffee brewed will be slightly different in taste, it softer, revealing the nuances of the drink. This relatively young American invention (2005 of the year) espresso coffee houses. The principle of operation it is almost similar to the preparation in coffee machine, but the pressure is achieved by human muscle power. principle of the device is, that for a cup mounted cylinder aeropressa, which is placed below the filter. Coffee is poured into the cylinder and is filled with hot water, was stirred and inserted top piston. Pushing the plunger, pressurized water is pushed into the cup, extracting coffee. As a result, a minute is obtained a strong espresso without sediment. Purover - a method of brewing coffee, which is widely used in Japan, the name comes from «pour over» combinations, ie "pouring from the top". 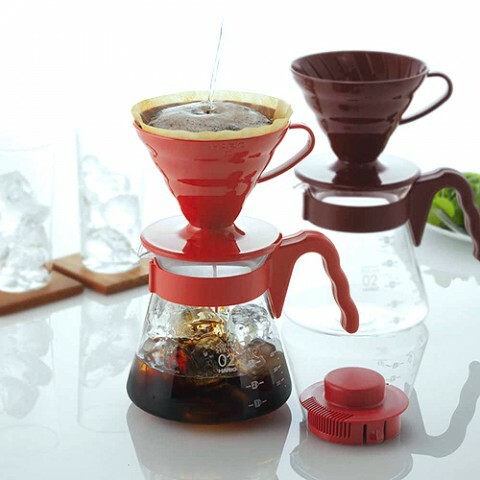 For this method uses special funnel Hario, which are made of glass or ceramics,, they are inserted in a bowl, where coffee gets ready. Basically the method welds in assisted is not fundamentally different, but here are a few other form of glass tableware, flask resembling an hourglass. Water to fill the need with temperature 95aboutWITH. The funnel pave a special filter, which is on top sprinkled with water to wet, so that it is firmly stuck to the walls of the vessel. It poured the coffee and slowly pour water on top. The water passes through the layer of coffee, saturating its aroma substances and. Through 4 minutes beverage ready. The idea of ​​using a siphon coffee belongs to the Frenchman vacuum coffee maker, has received a patent for it in the middle 19 century. At that time, this idea could not be widely circulated due to the fragility of glass, from which the structure was made. 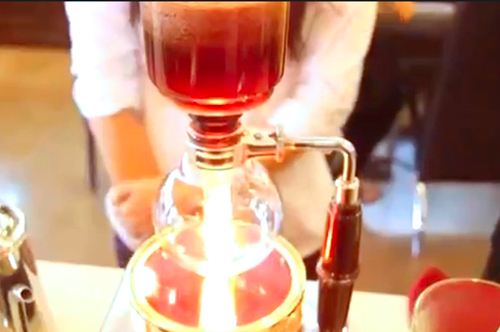 Today, when the device is used for the heat-resistant and sturdy glass, brewing coffee with it becomes very bright show, this coffee ceremony. See for yourself in the video!